Vancouver International Airport is among the most modern and efficient airports in the world. It is also known that YVR provides a full range of facilities to meet the needs of the community, airlines, the travelling public, cargo handlers, and the many businesses situated on Sea Island. Tremendous strides and progress since the days of its humble beginnings as a little airport on Sea Island in 1931. 1937 saw the inauguration of commercial air service by Trans-Canada Air Line's with their five Lockheed 10A Electra's and the rest is history. Today the old Vancouver Airport Terminal, now known as the South Terminal, is undergoing a complete face lift to become a modern regional hub for small aircraft, float planes, helicopter operations, corporate charters, regional carriers, and aerospace facilities. YVR is governed by the Vancouver International Airport Authority, made up of a 15 person community-based Board of Directors, nominated by entities such as the City of Richmond, the City of Vancouver, and the Vancouver Board of Trade. 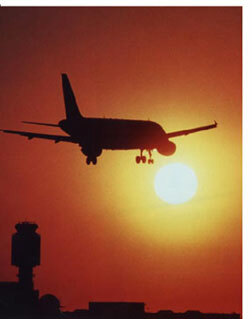 The Airport Authority assumed the management and operation of YVR from Transport Canada in 1992. YVR is operated under the provisions of a long-term lease with the Government of Canada. There are no shareholders, no government funding guarantees or subsidies. All earnings are re-invested in airport developments and service improvements. YVR is Canada's second busiest airport and a major west coast gateway, serving some 16 million passengers each year and transporting upwards of 260,000 metric tonnes of cargo. Also, according to the records, there were approximately 295,000 take-offs and landings in the year 2000. With there being close to 26,000 people who work on Sea Island, the 'Mission' of the Vancouver International Airport Authority is "to serve their community by building outstanding airports for the 21st century." In itself, YVR is intended to become one of the best airports in the world and today having innovative common use terminal equipment, and many other up to date efficiencies for the travelling public, it is also considered a "smart" airport. With the completion of the north parallel runway in 1996, runway capacity should be adequate to handle traffic volumes up to 2015. The adequacy of the runway system is predicated on the implementation of Global Positioning System navigation aids. Phases II & III of the new International Terminal should bring total terminal capacity to 22 million passengers per year. To ensure adequate terminal capacity, an increased terminal land reserve has been provided for, east of the existing terminals. Lands along the north side of the north runway are protected for future cargo terminals requiring airside access. The north portion of Sea Island is reserved as a conservation area, administered by the Canadian Wildlife Service. A central corridor from the Arthur Laing and Moray Channel Bridges is protected for ground access, including a future mass transit corridor. Transportation demand management initiatives will be considered to create incentives to use public transit and to create disincentives to use private automobiles. High priority vehicle facilities will be considered for commercial and high occupancy vehicles. In general, future initiatives detailed in the Master Plan over the planning horizon of 20 years are expected to result in only minimal changes to the 1996 noise exposure contours. The most recent successful project of significance is the 118,000 square meter expansion of YVR's main apron. This addition provides the airport with three drive-through aircraft service bays for de-icing aircraft, aircraft loading/off-loading and parking. Giving an idea of size, the area can accommodate, two 747's and an A380 or instead two 757's, two A320's and a 747. As a matter of further interest, there is just west of the new apron a nine-million-liter of glycol storage pond that recovers all aircraft de-icing fluid from the expanded apron. The glycol-water mix from this pond is pumped into tanker trucks and distilled for potential re-use of the glycol in automotive and other related products. YVR has also launched a passenger friendly Web Site www.yvr.ca to which can be added as a source of news, a most informative monthly publication, YVR "SkyTalk." The Langley Township Regional Airport and the Vancouver International Airport are but two of many successful airport operations. You only have to examine the airport in your area, then understand and appreciate what it means to your community and that any differences and problems can be resolved to the betterment of everybody. Finally a closing comment. Freight does not indeed, travel only by land and sea. Have a look at the airfreight tonnage figures then ask, what would become of business at large and us if we didn't have the advantage of travel and cargo via the air highways of the world? Just imagine if you will, even for a moment, the void, the consequences, and the additional expense, let alone the further congestion on our highways and waterways. Support your local airport and aviation at large.